The shiny polished steel finish of this bar bracket will precisely match your Polished Stainless Steel two-inch outside diameter bar rail tubing. Contemporary bar brackets include a back access bolt to allow for weight bearing on the bar rail. 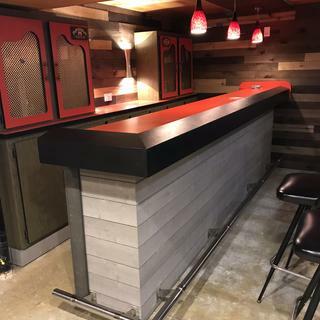 To install the bar rail bracket, you will need to use a screwdriver to attach the 2 mounting screws on the front end of the bar facing, and the nut and bolt assembly on the back end of the bar. The set screw goes into the hole where the bracket holds the tube and is screwed into the bar rail tubing. 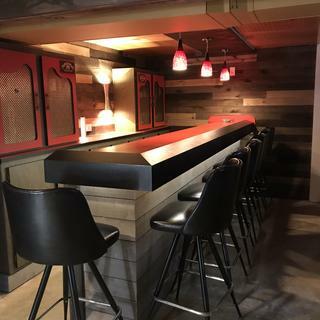 Your bar looks amazing! Thank you for sharing your feedback and your photos. Cheers! What is the height of a foot rest off the floor? BEST ANSWER: Our most popular bracket, the combination bracket, sits about 7 inches off the ground. We also have brackets that are up to 9 inches off the ground. A bar mount bracket can be installed at any height, anywhere between 7-9 inches should be comfortable.